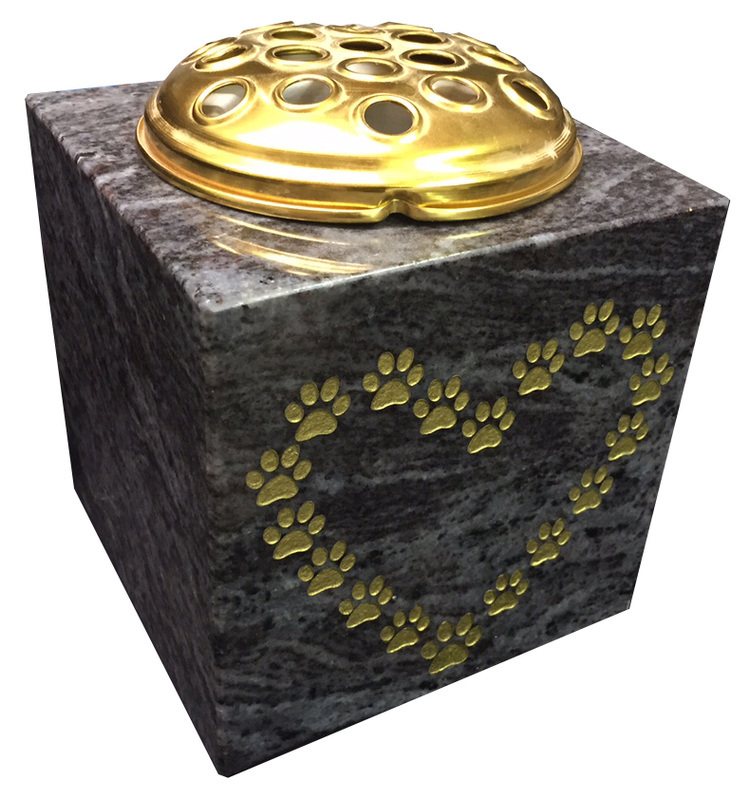 Pet Memorials - M.J.Sly Memorials LTD.
Polished granite paw shape which includes up to 40 engraved and hand painted inscription letters. 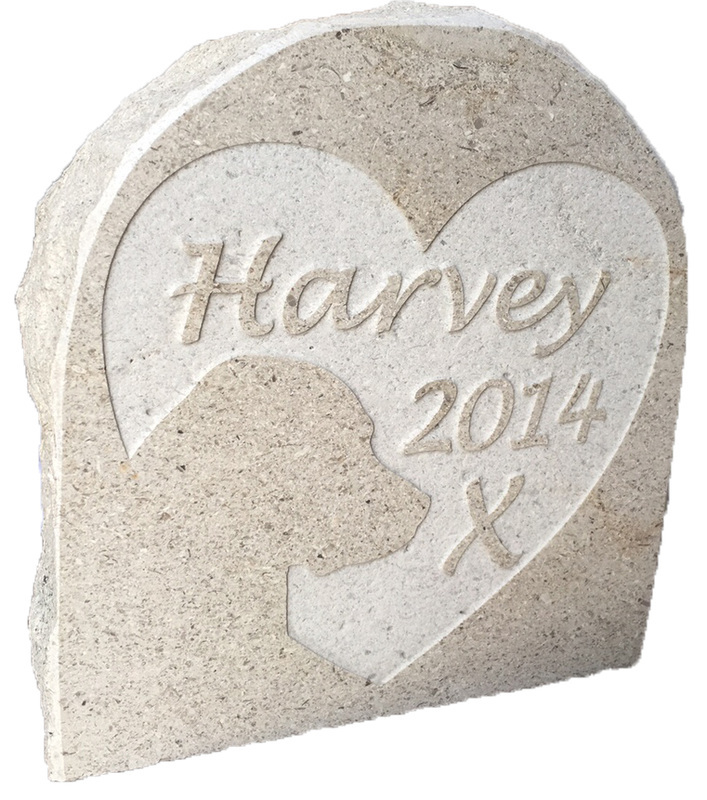 Polished granite in the shape of a small heart which includes up to 40 engraved and hand painted inscription letters. 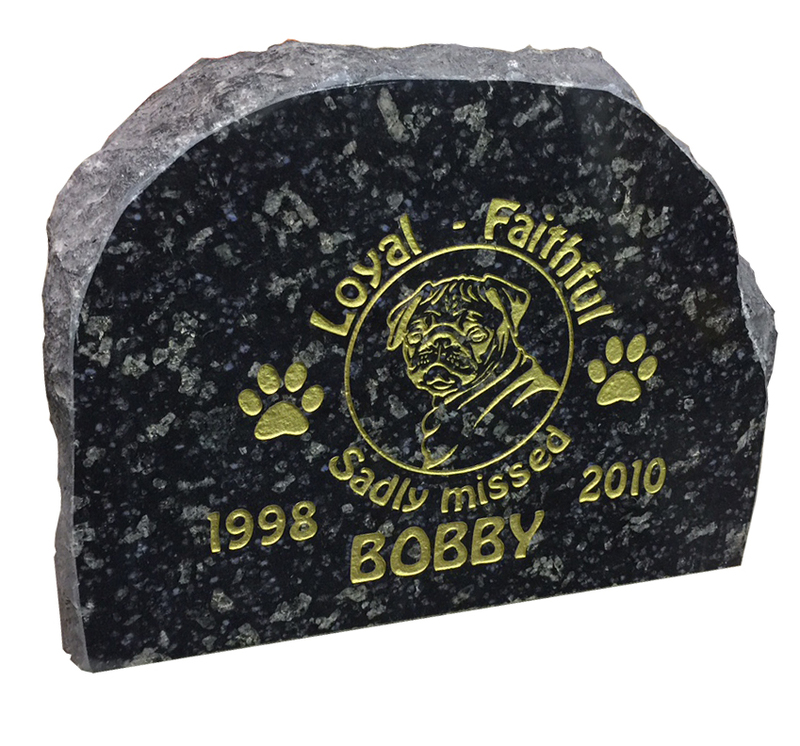 Polished granite memorials that can be placed inset to the ground which includes up to 40 engraved and hand painted inscription letters. *Please use a / (forward slash) to show a line break in your desired inscription. *If no inscription or design is required please appropriately indicate so in the text boxes. *Any special design placement, please indicate so in 'Note to seller' at checkout. A small polished granite plaque which includes engraved and hand painted inscription letters. 8" x 5" x 3/4"
A small polished granite plaque which includes a diamond etched design and up to 40 engraved and hand painted inscription letters. 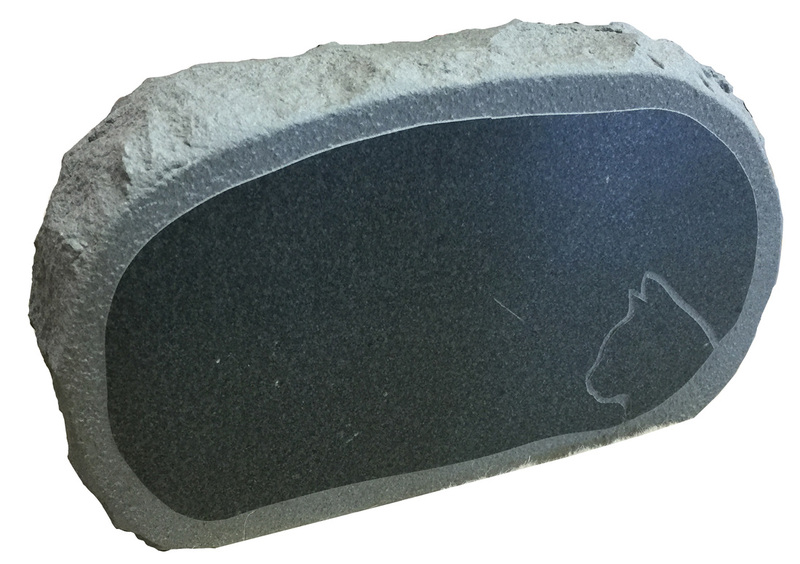 A rustic granite boulder with embossed lettering and optional motif. 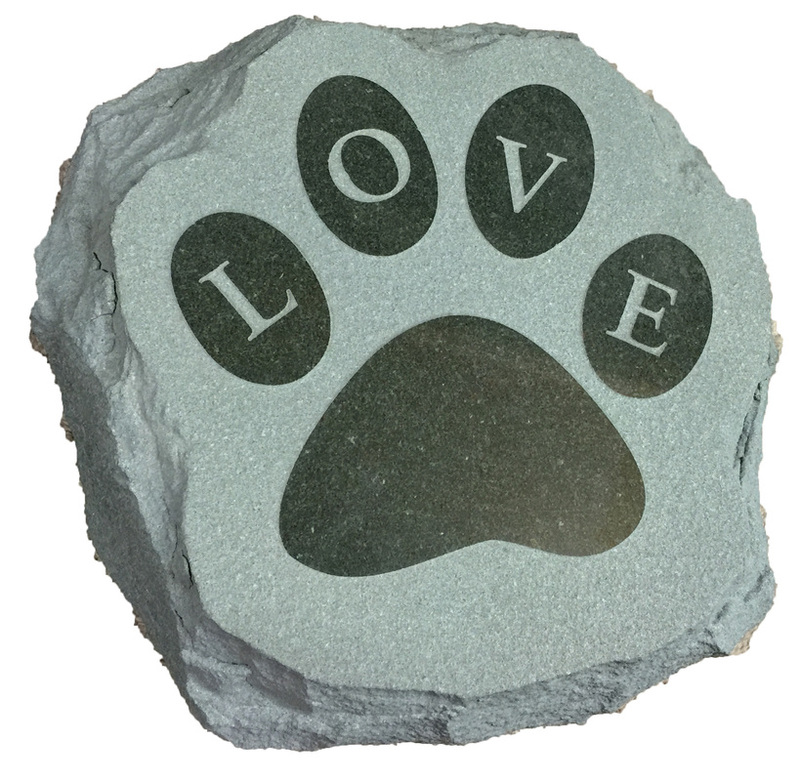 Dimension: 9" x 6" x 3"
A rustic granite boulder which includes lettering and heart motif with lettering. 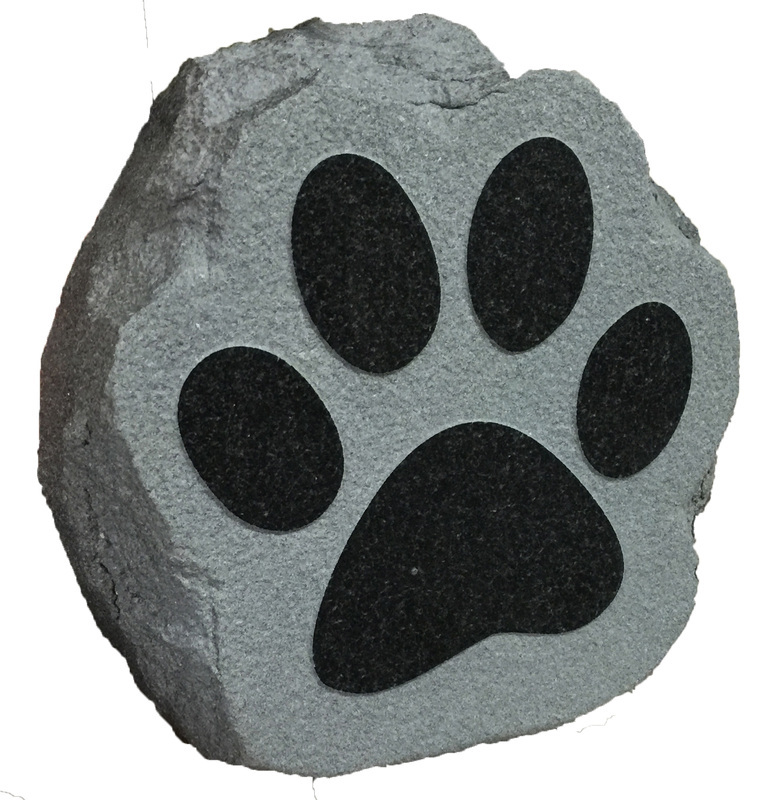 A rustic granite boulder which includes lettering and an optional motif. 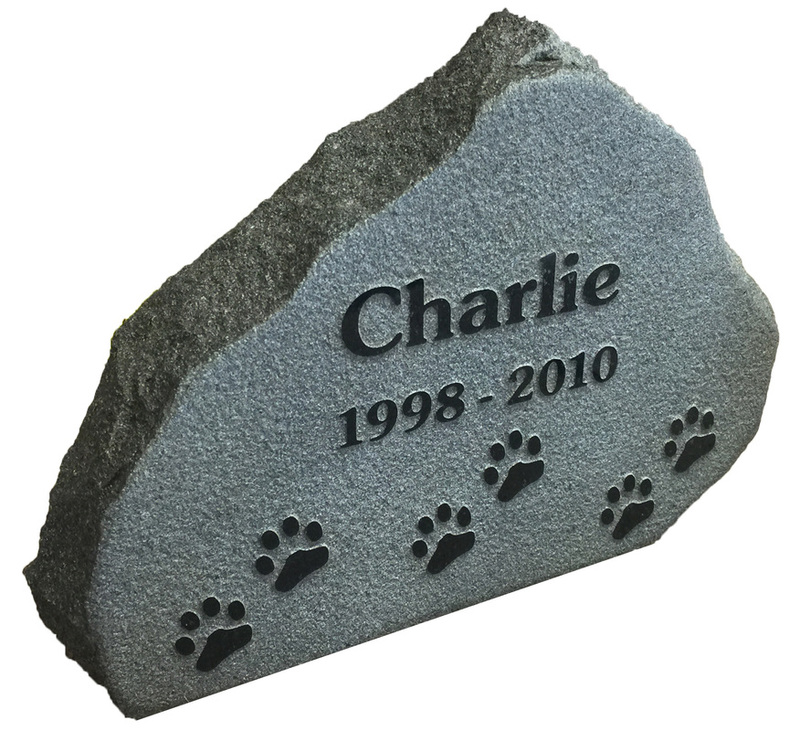 A granite wedge which includes embossed lettering and optional dog motif. Photo portrays a stood up star galaxy material. 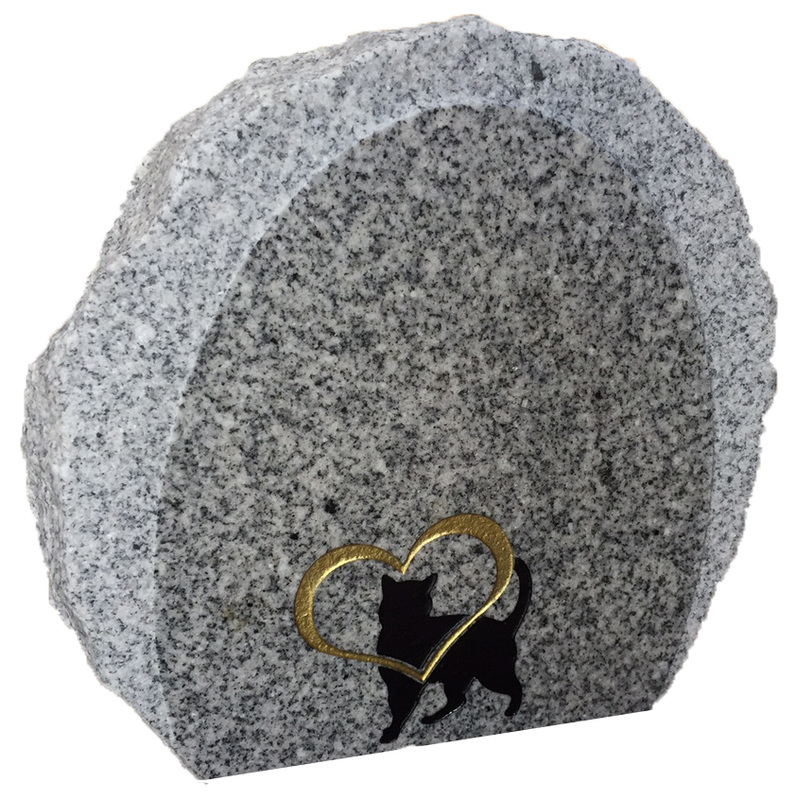 ​Dimensions: ​7" x 7" x 3" - 1"
A granite wedge with an embossed heart and roses design which includes lettering and optional cat motif. ​Photos portray an upright ebony black material with a gold painted cat motif. Also a sea grey material laid flat . 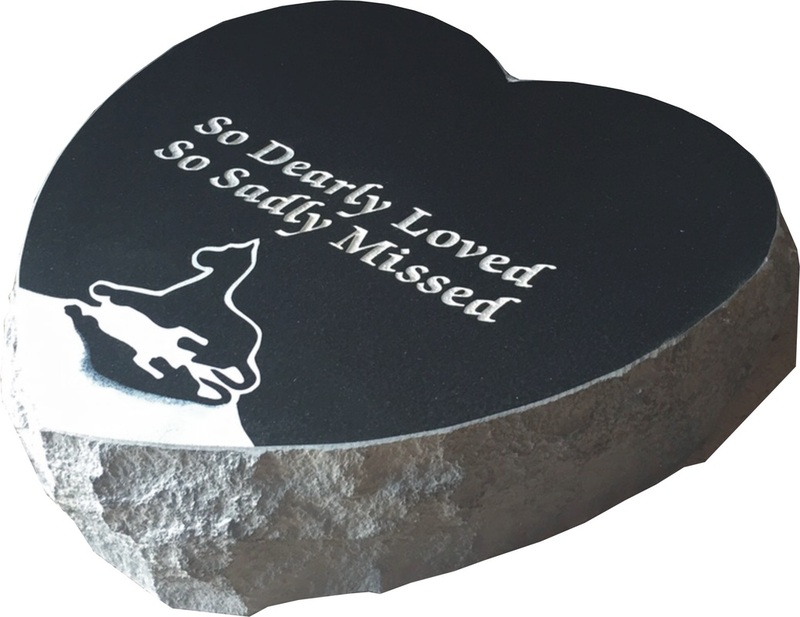 Dimensions: ​7" x 7" x 3" - 1"
A granite wedge with embossed lettering surrounded by a heart and Celtic style border. Photo portrays a stood up ebony black material with a gold painted border. 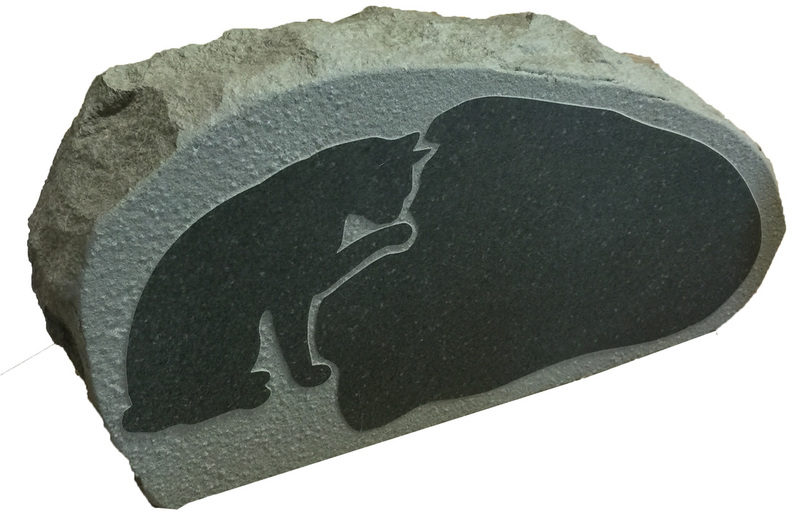 ​Dimensions: 7" x 7" x 3" - 1"
A granite wedge which includes embossed letters and an optional cat motif. Photo portrays a stood up sea grey material. Our small polished plaque with an embossed design which includes the lettering and Optional motif. 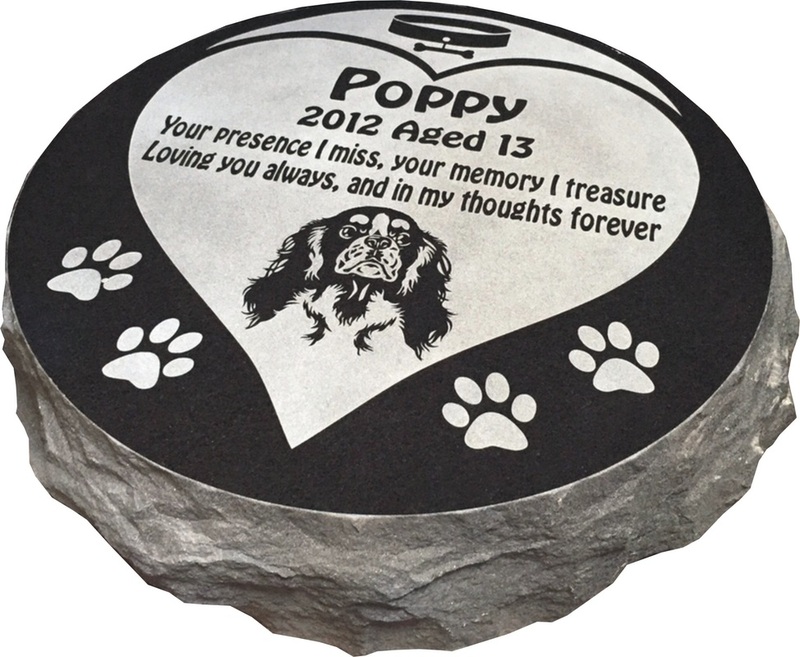 Our polished granite pet memorial that can be placed inset to the ground which includes up to 40 engraved and hand painted inscription letters (Black). *If no inscription is required please appropriately indicate so in the text box. 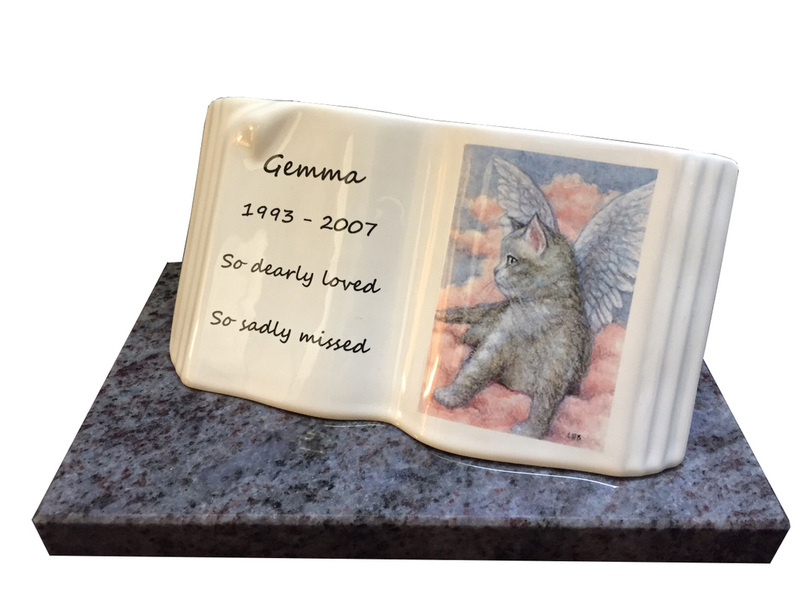 ​​Our small polished granite headstone with a hand painted rainbow bridge design. This ​includes up to 40 engraved and hand painted inscription letters. 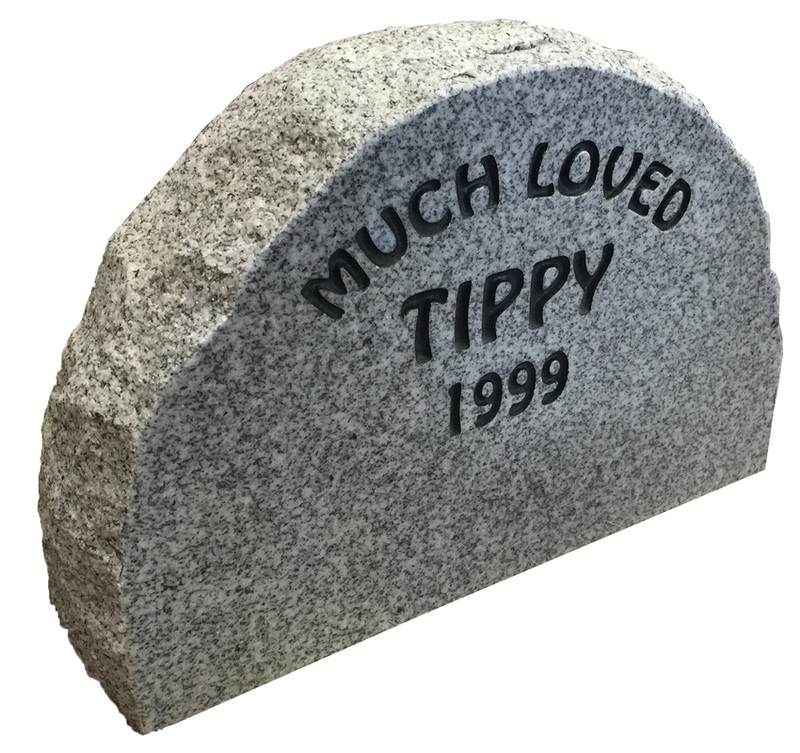 Headstone - 12" x 9" x 2"
Base - 10" x 5" x 2"
11.5" x 9" x 2"
£85 including heart motif and upto 40 engraved and handpainted inscription letters. 6.25" x 6.25" x 6.25"